I chose Green Building Store as they are the leading specialists in MVHR. I have previous experience of working with Green Building Store on other projects. The Paul Novus MVHR unit is very quiet. We have it located within a cupboard in our home office and yet the unit is so quiet. There is no noise at all within the house. Working with the Green Building Store team was fantastic. They worked with me to ensure that the ductwork could be fully concealed within floors and carefully planned risers. This has enabled us to keep all the first floor ceilings vaulted maximising the light and space. 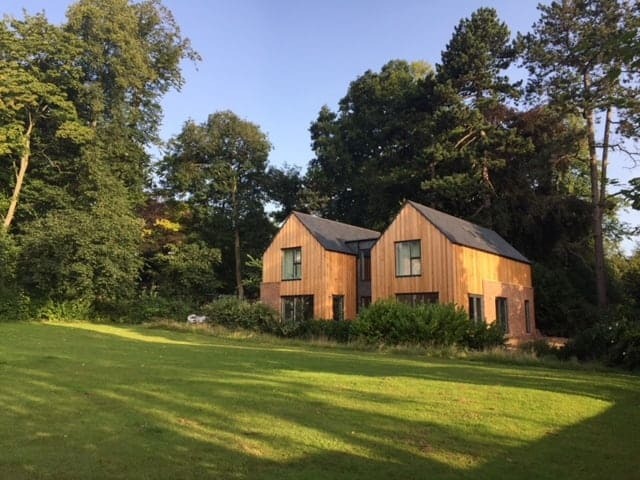 High Trees is a self-build project by the architect Andrew Burningham and is a detached 4-bedroom family house set within the Ripon Conservation Area. Green Building Store supplied, designed and commissioned the MVHR system for the project. Following a fabric first design philosophy, the project carefully considered building orientation to ensure that the house benefits from natural solar gains, natural light. Internal masonry has been designed into the core in order to provide thermal mass and help regulate the temperature. 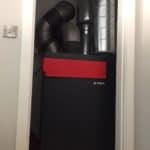 Supplementary heating and DHW is provided by an air source heat pump with a MVHR reducing heat losses further. Materials were selected that took inspiration from the context and that would weather into the setting. The house is constructed in timber SIP panels with additional internal insulation to increase the thermal performance. Externally, brickwork cladding was used, taking inspiration from local architecture . Above this, the house is clad in swan larch boarding in a Yorkshire board on board arrangement. The cladding is left untreated so that it will naturally weather to a silver grey, settling further into the colour and textures of the surrounding woodland. 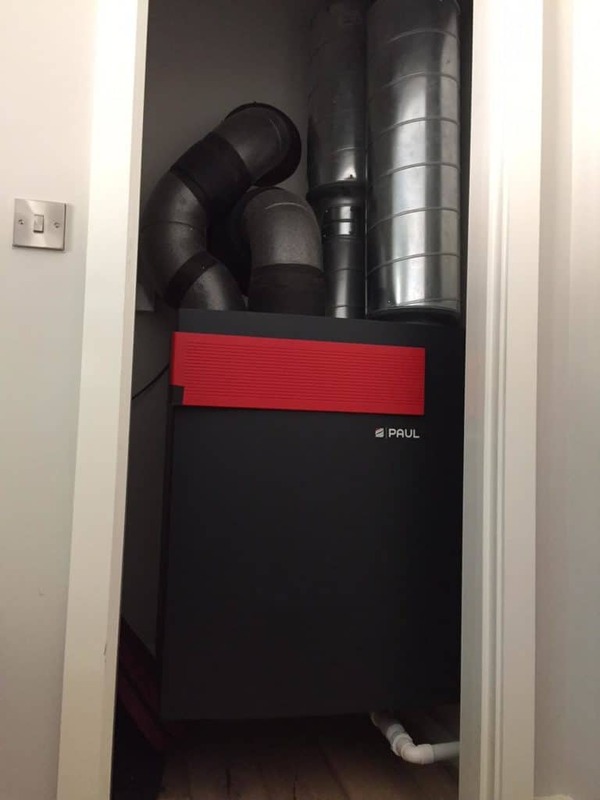 Green Building Store designed and supplied the MVHR system for the project, which incorporated the PAUL NOVUS 300 unit with rigid steel spiral wound ducting. “I chose Green Building Store as they are the leading specialists in MVHR. I have previous experience of working with Green Building Store on other projects.